Drinking the same drip coffee from the dining hall is central to most college students’ daily routine. Everyone acknowledges that this coffee is tolerable at best, and somehow we continue to drink – caffeine and accessibility trump taste. Fortunately buying an espresso machine isn’t the only way to preserve our taste buds and respect for a good cup o’ joe. Other ways of brewing coffee, the French press and the pour-over in general, and the Chemex more specifically, are delicious and affordable alternatives to your monotonous morning drip. Ah, the classic, almost timeless manual brewing method. In speed and expense, it is most comparable to drip coffee, and the taste has the potential to be infinitely superior. 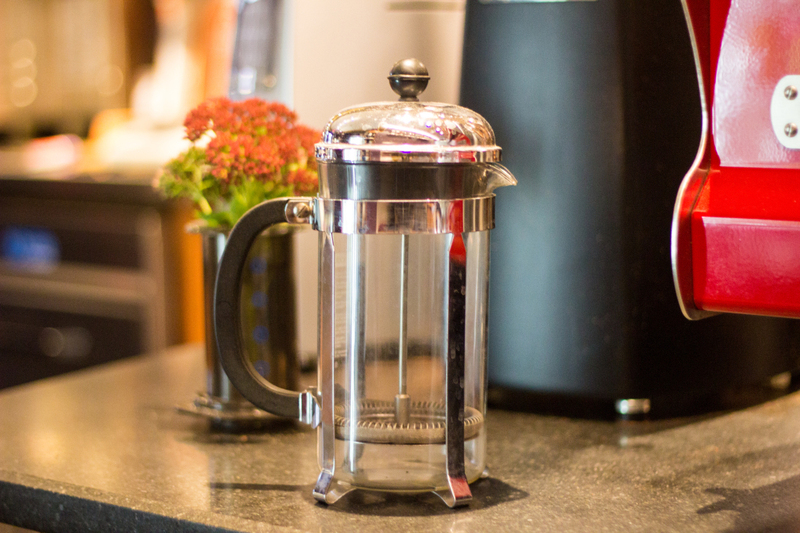 It is easy to find at cafés like Infini-T Tea Café and Spice Souk, but many coffee drinkers avoid brewing with the French press at home, as if the brew is made incorrectly, the cup will be bitter with residue floating near the bottom. The possibility for these mistakes are hazards of this type of brew – the grounds sit in the boiling water before being filtered rather than initially pushing the water through the grounds. Fortunately there are some quick brewing tips that immediately redeem this method. For one, make sure to grind the beans correctly (or simply buy a French press grind) and wait approximately a minute after boiling the water to pour it into the press. When the grounds are too small they add bitterness and grit to the brew, and if the water is too hot it will burn the beans. With these tips in mind, though, it’s hard to go wrong, and you will end up making for yourself an inexpensive, strong, full-bodied cup of coffee! 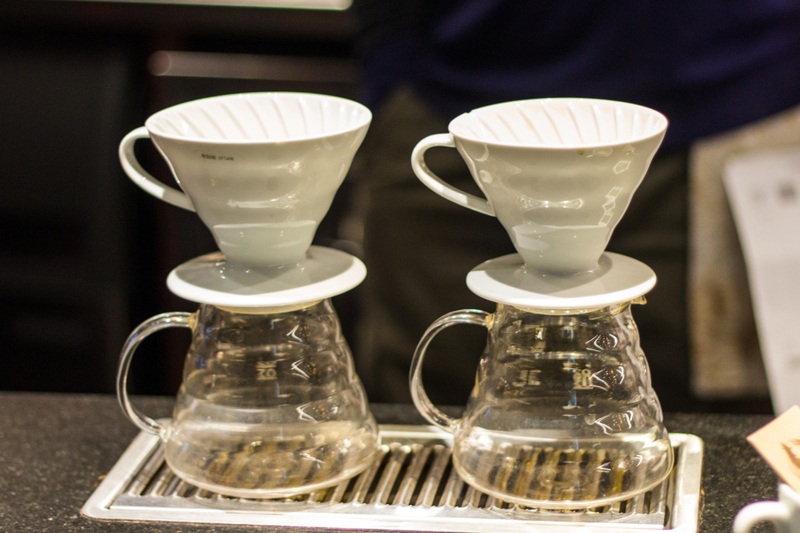 If you want to be closer to the cutting edge of manual brews, try the currently trending pour-over. 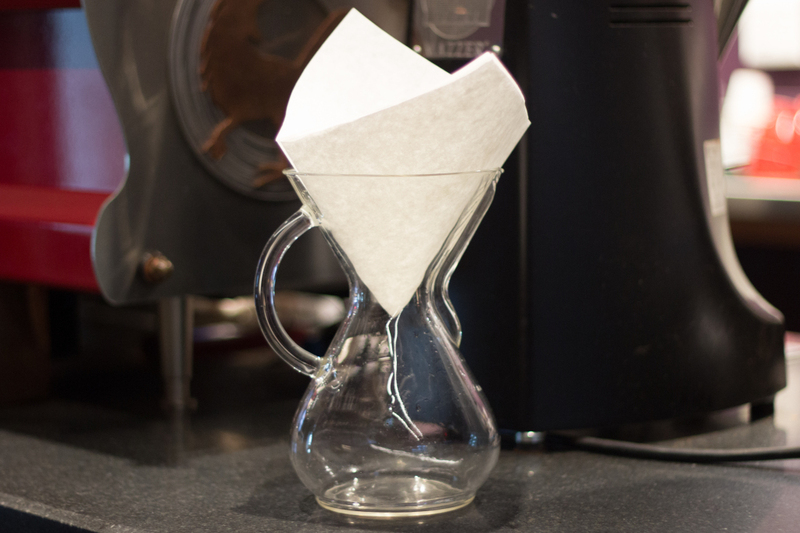 A pour-over involves manually pouring boiling water in a thin stream over coarsely ground beans in a coffee filter. Many boutique coffee shops have started offering pour-overs due to their ability to display the taste profile of single-origin coffee beans. Unlike with drip coffee, pour-overs unleash the nutty, chocolatey, or even fruity undertones of a given bean. A pour-over never has the oily, bitter residue present in the French press. On the other hand, it’s only viable to brew in small quantities – if you let a friend have a sip of your cup, get ready to repeat the whole process over again. Buying pour-overs around campus is easy – Rojos Roastery in Palmer Square has three different brew options, and Small World on Witherspoon offers pour-overs in the evenings. Brewing a pour-over in your room isn’t too tough as well, but keep in mind that the brew time can reach up to 5 minutes and requires some attention to detail (along with the apparatus itself, coffee filters, and a kettle that can pour a thin stream of water). Some tips for brewing: make sure your beans are coarse enough and be sure to wait for the coffee to ‘bloom’; in other words, pour in just enough water to wet the beans and wait for them to finish rising (approximately 30 seconds) before continuing to add the water. One particular pour-over apparatus ideal for a dorm room is the Chemex. Aside from the aesthetically pleasing appearance, the Chemex makes it so that the water takes longer to travel through the beans, which makes for an easily-brewed and delicious final product. The French press and pour-over are just two brew methods on opposite side of the coffe flavor spectrum. If neither option suits you, be sure to check out other manual brew methods like the Aeropress or a variety of other pour-over types and devices.